Word for Today: You cannot do it on your own. Word for Today:You cannot do it on your own. 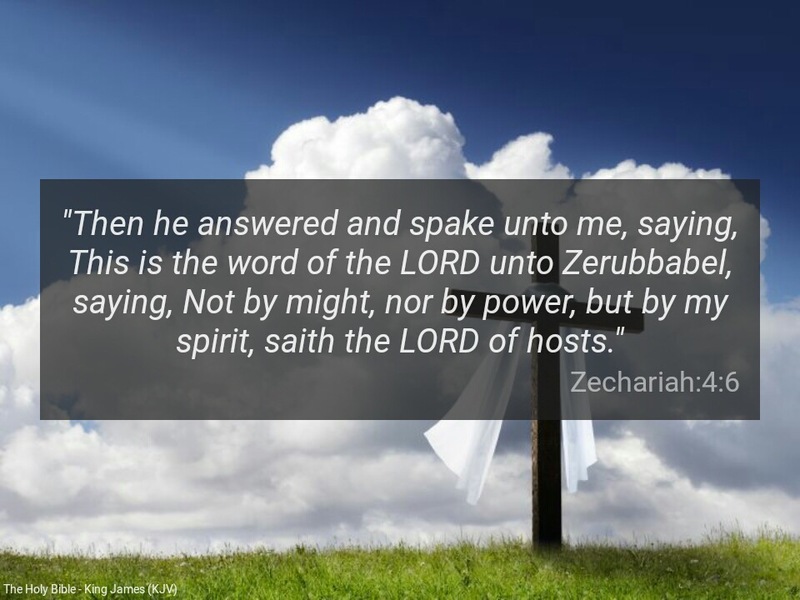 “Then he answered and spake unto me, saying, This is the word of the LORD unto Zerubbabel, saying, Not by might, nor by power, but by my spirit, saith the LORD of hosts” ( Zechariah 4:6). We are who we are by the special grace of God. It’s very easy for us to be deceived into believing that our modest achievements in life are primarily as a result of our intelligence, hard work or smartness. Not at all! By His Spirit we live, and move and have our being. If you remove God’s grace from any man, that man is less than zero. He says: “for without me ye can do nothing ” ( John 15:5). “For the grace of God that bringeth salvation hath appeared to all men” (Titus 2:11). Father, please give us the grace to be totally dependent on your Holy Spirit for everything in Jesus mighty name. Amen. Previous Previous post: Word for Today: You can command the morning. Next Next post: Word for Today: Let the FIRE component of the Holy Spirit be manifested.